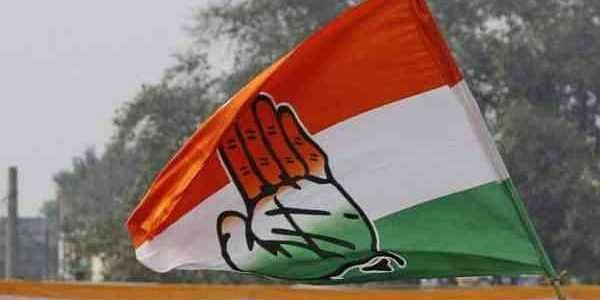 The Congress on Monday released the fourth and final list of 15 candidates for the upcoming Gujarat Assembly Elections. NEW DELHI: The Congress on Monday released the fourth and final list of 15 candidates for the upcoming Gujarat Assembly Elections. In a press release, the party released names of 15 candidates and has left two seats for its allies. The Congress left two seats for ally Bharatiya Tribal Party headed by former JD (U) MLA Chhotubhai Vasava. Vasava's party will contest from five seats of Jhagadia, Dediapada, Mangrol, Morva Hadaf and Vaghodia in the two-phase election. The Congress did not field its candidate in Vadgam (SC) seat of Banaskantha in support of Mevani, who led the dalit stir against the BJP government. Earlier on Sunday, the Congress released its third list of 76 candidates. On November 21, the party released its second list of 13 candidates. The list was released by senior party leader Oscar Fernandes. While the party has dropped four of its sitting MLAs, it has fielded OBC leader Alpesh Zala (Thakor), popularly known as Alpesh Thakor, in Radhanpur constituency. Radhanpur is a bastion of the Thakor community and currently held by the BJP. Thakor recently joined the Congress in the presence of party vice president Rahul Gandhi. The Congress has been wooing community leaders like Hardik Patel of the Patidar quota agitation, Mevani and Thakur to dislodge the BJP, which has been in power in the state for over two decades. The sitting MLAs who have not been given tickets are Dharshi Khanpura (from Kankrej), Hira Patel (Lunawada), Joitabhai Patel (Dhanera) and Natvarsinh Thakor (Mahudha). For Mahudha seat, held by Natvarsinh Thakor since long, the party has chosen his son Indrajitsinh Thakor. Former Gujarat Congress president Siddharth Patel has been nominated for Dabhoi seat of Vadodara district while senior high court lawyer and party leader Babu Mangukia, who had fought Hadik Patel's sedition case initially, has been chosen for the Thakkar Nagar seat in Ahmedabad city. The polling for the two-phase election to the 182-member Assembly will take place on December 9 and 14 and the votes will be counted on December 18. The 89 seats of Saurashtra and South Gujarat region are going to polls in the first phase while the remaining 93 seats in central and northern region would go for polls in the second phase. Under the seat-sharing agreement with Bharatiya Tribal Party, recently floated by Vasava after the rift in the JD(U), the Congress has not fielded any of its candidate on five seats, including four reserved for Scheduled Tribes (STs). For the first phase, the Congress has fielded its candidates on 86 out of the 89 seats, as three seats were given to Bharatiya Tribal Party. These tribal seats are - Jhaghadia, Dediapada and Mangrol, all reserved for STs. For the second phase, the Congress gave away two seats - Morvahadaf (ST) of Panchmahal and Waghodia seat of Vadodara - to Vasava's party. Both are currently held by the ruling BJP. The party's first list had 77 candidates.